Thanks to all who came along for a ride-out at our 8th (and currently final in its current guise with Diesel Group members as organisers) 1960’s Weekend. 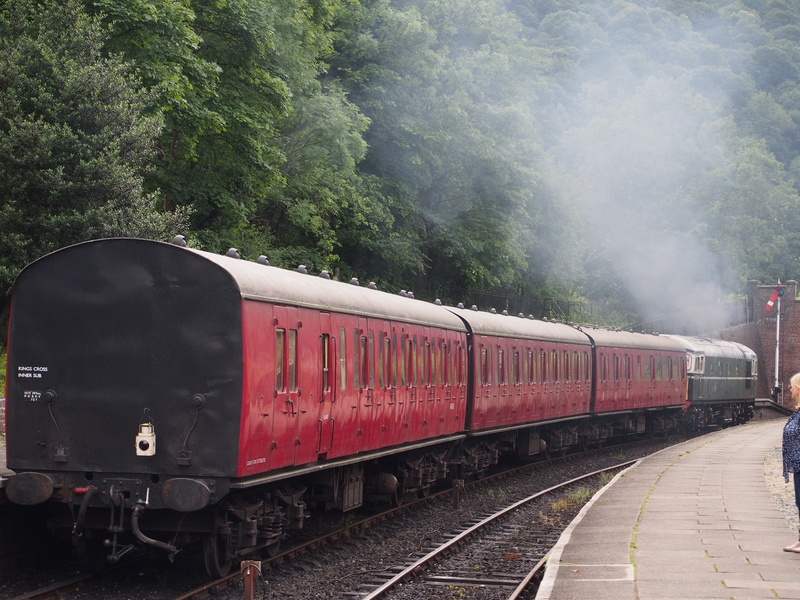 Due to a shortage of steam locos, we ended up with a request for both D5310 and 6940 to be in use on both days. Although confident, this would be OK, as usual it ended up being a challenge! 2 of 6940’s bogie brake cylinder seals needed urgent replacement before the event. They had been passing air for a while but failed completely when the loco was used for shunting just over a week before the event. Hasty enquiries resulted in a supplier in Sheffield being able to assist us, although it was a close run thing – they arrived at 15:30 on the day before the event. Fortunately they fitted like a dream and did the job perfectly. We just gained a few less/grey/both hairs in the process! 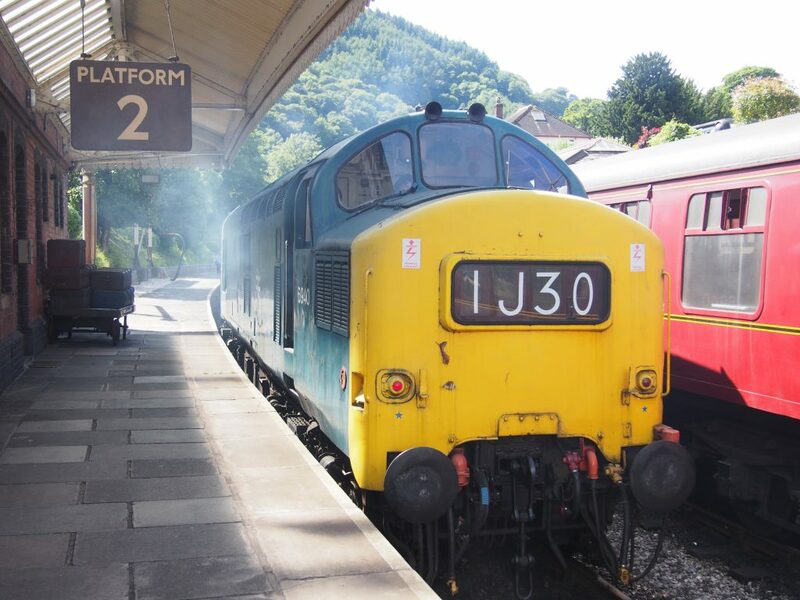 She is seen below running round at Llangollen on Sunday 23rd. D5310 had air problems of her own when she was used on the Tuesday before the event to shunt at Glyndyfrdwy. Both the brake feed cut off and train brake valve at No 1 end began passing air badly. Both were removed, stripped and cleaned on the Friday before the event. Fortunately we had a good turn out of working members for this day and, despite it being very last minute and working in the most awful rainy conditions, both locos passed FTR at around 4pm and then headed straight into shunting work to prepare stock for the event. She is seen below getting the ECS to River Sidings underway on the evening of Sunday 23rd July. Doesn’t she look the part on those subs! 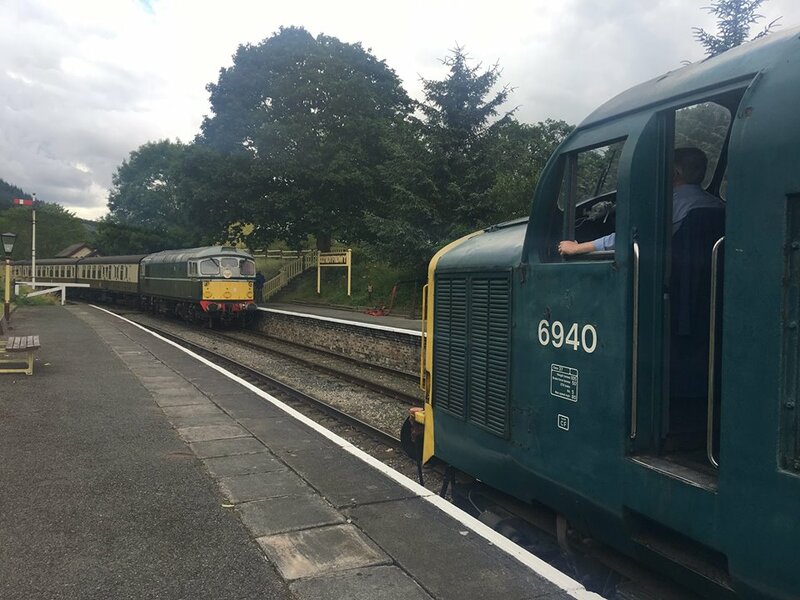 After a busy July, it’s now time to look forward to our Diesel Weekend on September 23rd & 24th. We are confident of being able to field D5310, 6940 & 1566 and a railcar. We are planning interesting workings, a miniature railway and an evening beer train. More details will be provided soon – keep checking back.